The trend has caught on with high-end, Michelin-starred restaurants in California such as The French Laundry in Napa and Manresa in Los Gatos as well as more casual places, such as Pauline’s Pizzeria in San Francisco and the Fremont Diner in Sonoma. The growing number of restaurant farms is welcome news to new farmers like Rose Robertson, 28, who, like many new farmers, is trained but without a plot of land to call her own. After interning for a year at a farm in Santa Barbara, Robertson knew she wanted to farm but also knew she did not want to be a cog in a large-scale farming operation. She worried that at a big farm, workers like her would end up, “spending your whole day picking beans,” she said. She found a job managing the one and a half-acre garden at Ubuntu, a high-end vegetarian restaurant in Napa. The owners and staff of Ubuntu describe the garden as the heart of the restaurant, not just a side project. In the summer months up to 90 percent of the produce served comes from its garden. Ubuntu’s owner, Sandy Lawrence, set out to create that dynamic, and says the importance of hyper-fresh produce is heightened because the restaurant is vegetarian. With the increasing number of young people flocking to agricultural training programs and farming internships, Lawrence never worried about finding eager farmers to employ. “The reason we’ve been so confident is we’ve always had loads of young people who want to work,” she said. In addition to Robertson, another full time gardener and two part time workers, the garden has an internship program that attracts a constant stream of willing volunteers. 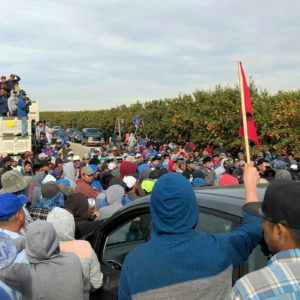 The trend represents a different kind of job opportunity for young people trying to break into agriculture in regions like the Bay Area, where land prices are prohibitively high. The average plot of cropland in California sold for about $9,000 an acre in 2010, according to USDA data, compared to about $4,000 an acre in Iowa, or $800 an acre in Montana, the cheapest state. Prices can go much higher in the Bay Area, though–a plot currently for sale in Sebastopol, Sonoma County is priced at about $21,000 per acre. American farmers are getting old–in 2007, the average age of a farmer was 58, compared to 39 in 1945. 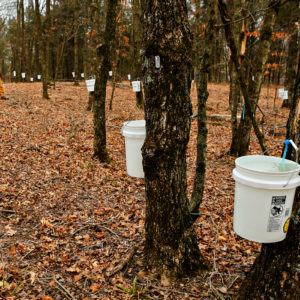 Between 2002 and 2007, the number of farmers under 45 decreased by 21 percent. Still, in recent years, more young people have shown interest in farming and policy makers are working to recruit and incentivize new farmers. The latest version of the Farm Bill allocated $18 million for training new farmers. Several Bay Area farms offer apprenticeships and internships for new farmers, mostly based around organic or biodynamic methods. But it is still difficult for many of the young people who complete the programs to get a paid job farming when they finish, which makes restaurant farms an appealing option to some. Misja Nuyttens, 30, was an intern at Green String Farm in Petaluma and recently took a job starting a farm for the restaurant Central Market, also in Petaluma. She says the experience of starting a farm from scratch has been invaluable. It’s not uncommon for beginning farmers such as Nuyttens to hold multiple jobs or look for non-traditional ways to use their farming skills. Samantha Langevin runs the internship program at Hidden Villa farm and education center in the Los Altos hills. She says she encourages interns to think about taking a diversified approach to their careers. “The trend we’re seeing is young farmers, in addition to farmers markets, they might be selling to restaurants, they might be offering a CSA program, they might be working with a local school, whether that’s elementary to university, to offer programming on-site, they might be working with other community organizations that are looking to purchase food,” says Langevin. Managing a restaurant garden lets farmers try out running a farm without having to take on debt or over-commit. And for restaurants, being ultra-local and having control over access to produce gives the chef flexibility. Robertson, the manager of Ubuntu’s garden, says the chef likes being able to harvest vegetables at any stage of growth. He also sometimes uses parts of the plant which are edible but often aren’t traditionally sold, such as carrot tops and beet stems. And he has Robertson grow plants that are difficult or impossible to find in the marketplace, including an edible ice plant with a lemony taste called ficoide glaciale. Misja Nuyttens says part of the motivation for the chef and owner at Central Market restaurant to start his own garden was to be able to serve produce at its absolute freshest. Even when he purchased from farms only a few miles away, the produce would often go through a distributer that trucked items all over the Bay Area before getting to his kitchen. Starting a dedicated garden might not always be profitable for restaurants. Lawrence says Ubuntu’s garden is sustaining itself by providing produce to the restaurant, but it helps that most of the land is on the owner’s property. Similarly, the owners of the Farmhouse Inn in Forestville, Sonoma use their own land for their garden, and have set up a share-cropping arrangement with a farmer to make it affordable. Co-owner Catherine Bartolomei says the garden could probably be more profitable if she wanted it to be, but that the larger goal is to adhere to the business’s eating philosophy. While more and more restaurants are finding ways to make it work, putting in a garden is not a business move that would make sense for every eatery. 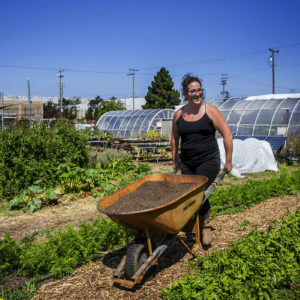 Providing boutique vegetables for high-end diners also might not be the philosophical goal for many of the area’s young farmers, although Nuyttens does find connection to a greater cause in her work with the Central Market garden. Above, Oxheart carrots grown in Ubuntu’s garden. Photo: Rose Robertson. Below, Ubuntu restaurant’s chefs standing in the garden. Photo: Karen Mann. 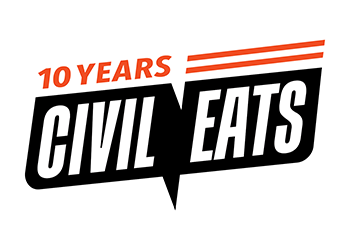 This post is part of an ongoing partnership between Civil Eats and the UC Berkeley Graduate School of Journalism News21 course on food reporting. Hooray for those forward thinkers in your article!! Also, don't look now, but little by little, we are slowly getting the local "indie" ag producer back into the food cycle. AND, helping them to stand stronger financially! And hooray again for the young forward thinking farmers and interns and restauranteurs that are working and thinking together to make it happen! And let it spread not just country wide, but world wide.